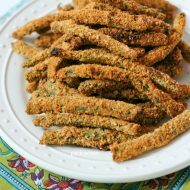 Being a Louisiana girl, you always have a few good cajun style recipes on hand. 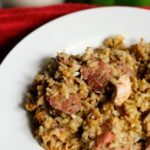 Some of my favorites I have shared here are our Crawfish Boil, Crawfish Etouffee, Shrimp and Alfredo Pasta, and today I am sharing this Chicken and Sausage Jambalaya. It takes a little time to make, but it’s time well spent once you start digging in. 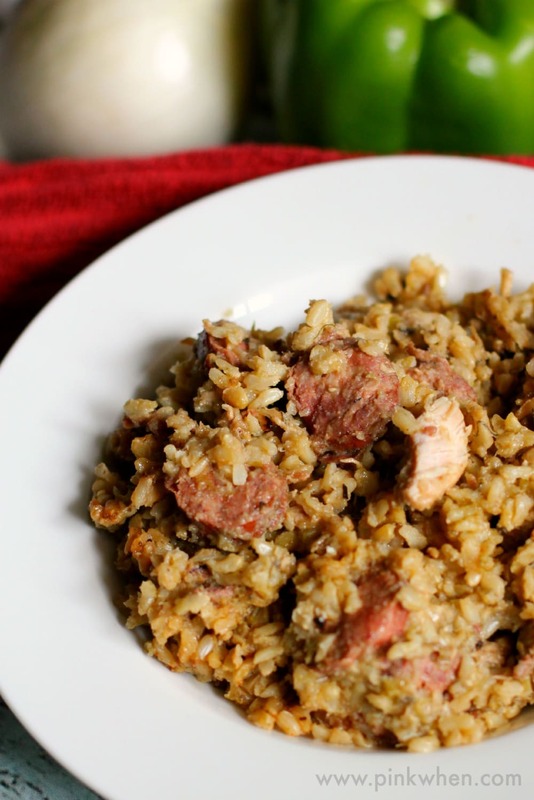 Get ready for one of the most delicious Chicken and Sausage Jambalaya recipes ever. Using a dutch oven, pour in the vegetable oil and warm it up over medium heat. 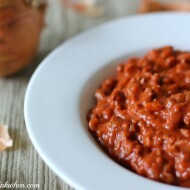 Pour in the chopped green onions, diced white onions, chopped bell pepper, red pepper, and 2 tsp of the cayenne pepper. Saute the vegetables over medium heat for about 20 minutes. Add in the sliced sausage and continue to saute for about 10-12 minutes. Make sure you stir frequently. While the veggies and sausage are cooking, sprinkle the salt, remaining tsp of cayenne, white pepper, and oregano over the chicken. Once the sausage is cooked, add in the seasoned chicken breasts and cook for 8-10 minutes, continually stirring. Pour the rice into the chicken and sausage mixture and stir to coat well, for about 2 minutes. Turn the heat down to medium/low and then add the 6 cups of water, stir, and then cover for the remaining 30 to 35 minutes. Do not stir for 30 minutes. You may have to cook a little longer if you are using brown rice in this recipe. Cook until all of the water is gone and the rice finished cooking. Here is a printable version below to keep in your cookbook. 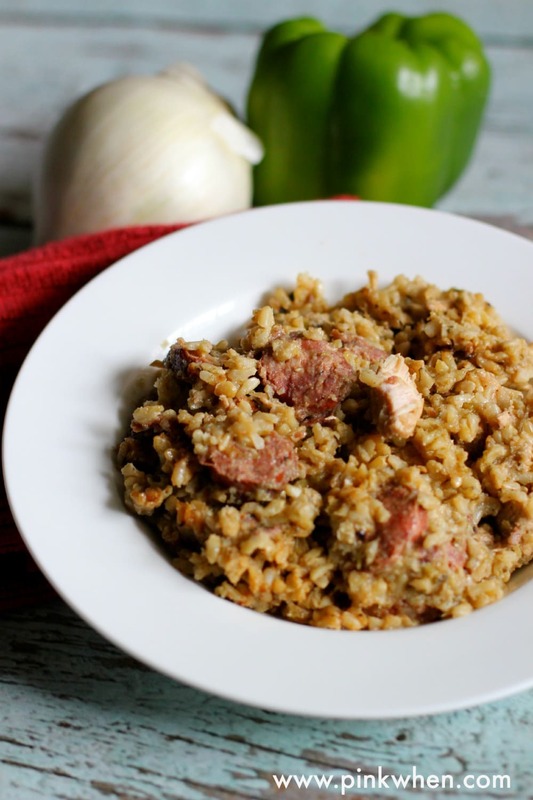 Delicious and authentic chicken and sausage jambalaya recipe. Using a dutch oven, pour in the vegetable oil and warm it up over a medium heat. Pour in the chopped green onions, chopped white onions, chopped bell pepper, red pepper, and 2 tsp of the cayenne pepper. Saute the vegetables over medium heat for about 20 minutes. Add in the sliced sausage and continue to saute for about 10-12 minutes. Constantly stirring. Once the sausage has been cooked, add in the seasoned chicken breasts and cook for 8-10 minutes, constantly stirring. Pour the rice into the chicken and sausage mixture and stir to coat really well, for about 2 minutes. Turn the heat down to medium/low and then add the 6 cups of water, stir, and then cover for the remaining 30 to 35 minutes. Do not stir for 30 minutes. 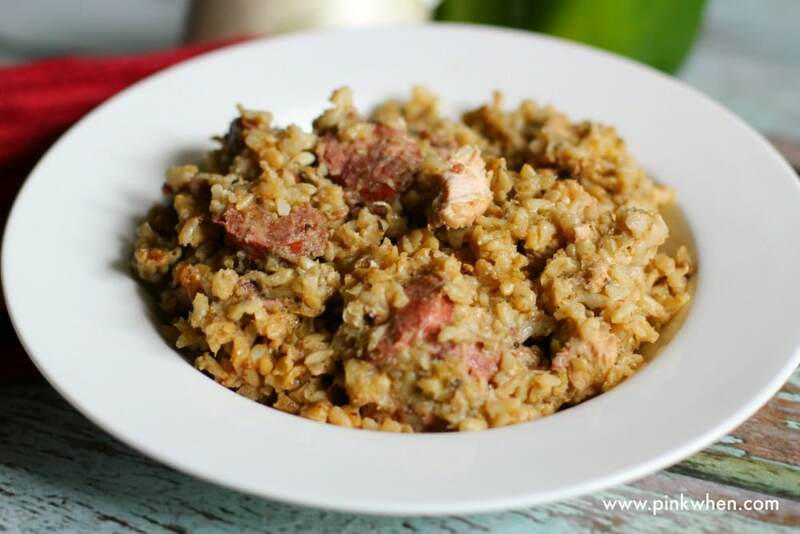 You may have to cook a little longer if you are using a brown rice in this recipe. Cook until all of the water is gone and the rice is fully cooked. I love this recipe on so many levels. It’s not too spicy, and the flavors are just amazing. You can always add a little Tabasco if you want things a little hotter. I find my palate appreciates the spices just the way they are. 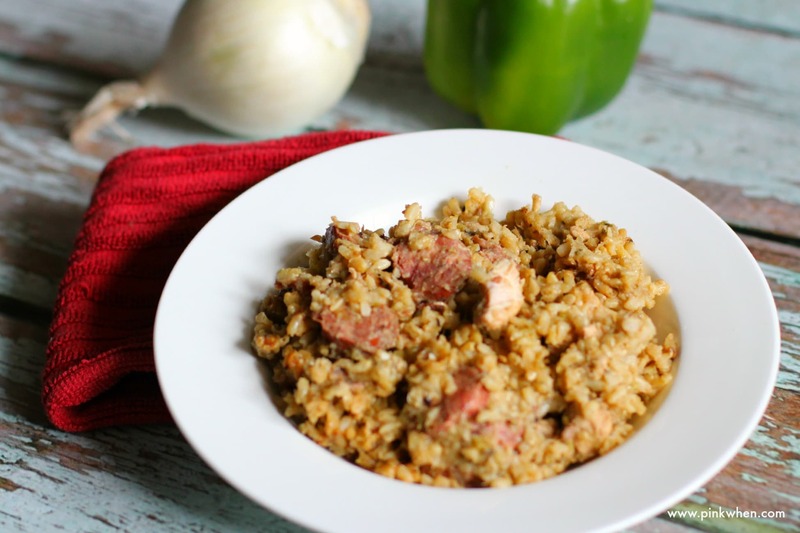 If you are looking for a downright delicious recipe, try this Chicken and Sausage Jambalaya soon. Hey there, I just wanted to commend you on your Jambalaya! I grew up in Gonzales, LA. THE Jambalaya Capital of the World! Ok, we hold a Jambalaya Festival every year, and it’s a huge deal down in Cajun Country, but maybe not the world. lol. Anyway, I get all teeth clenchy when I see people passing off something that is clearly not Jambalaya but the soup, or some such, and the rest of the world doesn’t know the difference.Yours is almost perfect! Only thing I do differently is I use a whole chicken, cut up & boiled; and then I sub the chicken stock for the water. 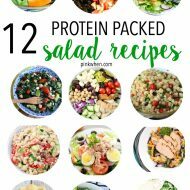 I find using just chicken breasts, the meat can get dry and stringy. I’ve been making this about once a week for, ummmm, 50 years now. My family never gets tired of it. Wow! This jambalaya is delicious!! I love the chicken and I will take a previous commenter’s advice and use stock and a whole chicken. Thanks for sharing. There are two different red peppers, one noted as cayenne and the other as red pepper. What’s the difference? Going to make for friends coming over for Jazz Fest.